Please note: Days 1-6 or days 6-10 of this itinerary can also be booked as separate tours – please speak to a member of our team. 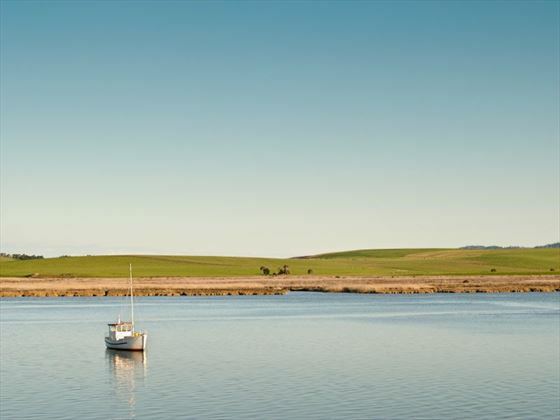 Make your way to the hotel and begin your journey through the farmland and vineyards, following the Tamar River. You’ll have the opportunity to visit the gold mining town of Beaconsfield and tour the mine and heritage center, before enjoying canapés and a welcome drink as you stroll through the gallery at the Design center of Tasmania. End the day with a delicious welcome dinner with your group. After breakfast, explore the wine-producing region of northern Tasmania and take a guided tour of the distillery at Birdestowe Lavender Estate to sample the unique lavender-inspired produce. 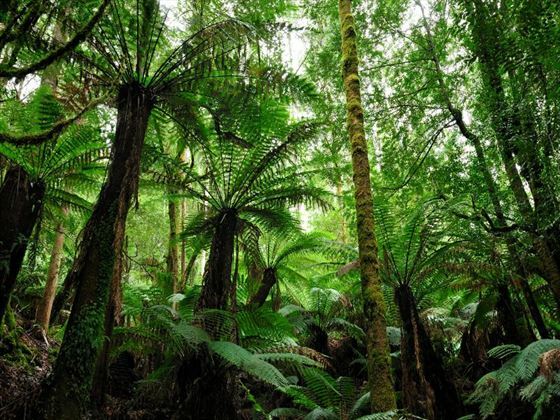 Later on, traverse the Weldborough Pass and stop off at the East Coast Natureworld where you’ll be able to see a Tasmanian Devil up close, along with other native animals. 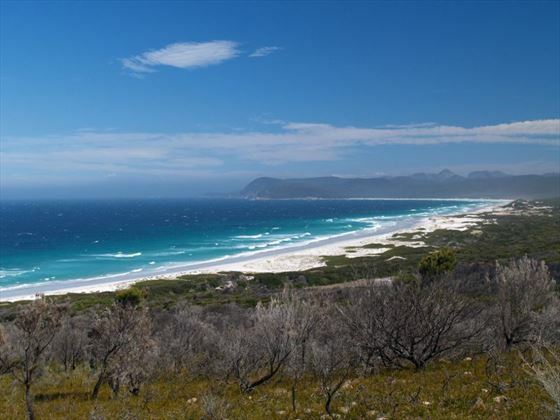 Travel into Freycinet National Park in the afternoon to take a guided walk before making your way to the town of Bicheno. 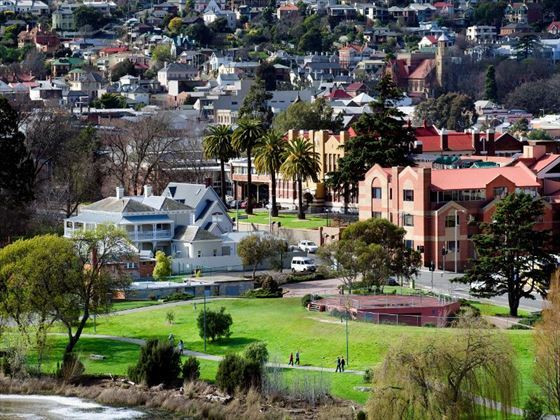 Today sees you discover the historic hub of Tasmania in Campbell Town and Ross. 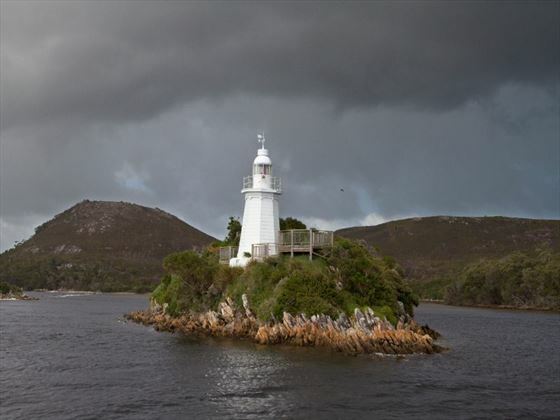 Continue onwards to Richmond then take in the stunning coastal scenery from Eaglehawk Neck. Afterwards, head to Port Arthur for your overnight stay. 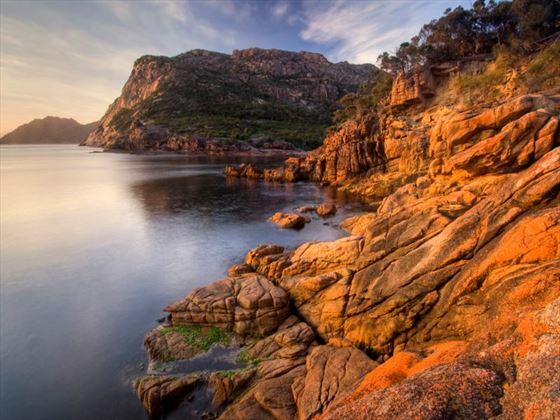 Visit Port Arthur this morning, which was once famous for being Australia’s most notorious convict prison, and take a guided tour of this fascinating site. Afterwards, join a cruise around the Isle of the Dead where you’ll hear haunting tales of the convicts who were buried here. Travel to Hobart and dine at the Customs House Restaurant in the evening, overlooking the picturesque waterfront scenery. 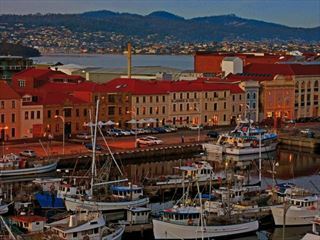 Take a sightseeing tour of Hobart today, taking you to Salamanca Place, Constitution Dock and the stunning harbor area. Afterwards, visit the Salamanca Market or you may prefer to join an optional full-day Bruny Island adventure (own expense). Visit Russell Falls today, the highlight of the Mt Field National Park, and continue on to Cradle Mountain-Lake St Clair National Park – a World Heritage-listed Site. Journey to the town of Strahan to enjoy a buffet dinner at View 42 degrees Restaurant and Bar in the evening. Take a cruise through Macquarie harbor to enter the Franklin-Gordon Wild Rivers National Park then continue on to Sarah Island, where you’ll visit the convict settlement and learn about this area’s history. 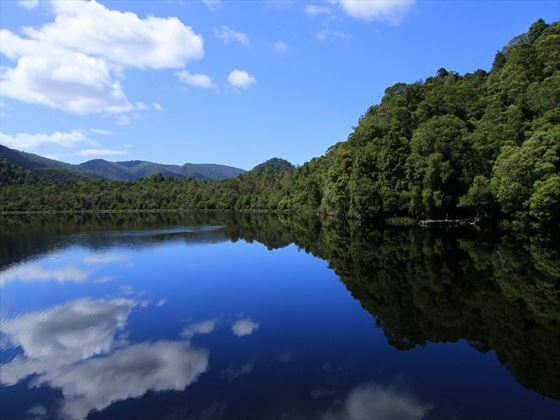 Pass Hell’s Gate and re-board your coach upon arrival in Strahan to visit Cradle Mountain. 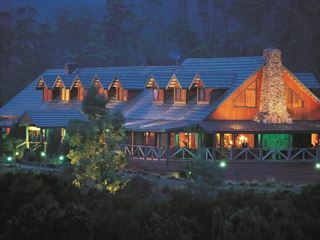 Your stay at the Cradle Mountain Hotel gives you the chance to experience Tasmanian nature at its finest. 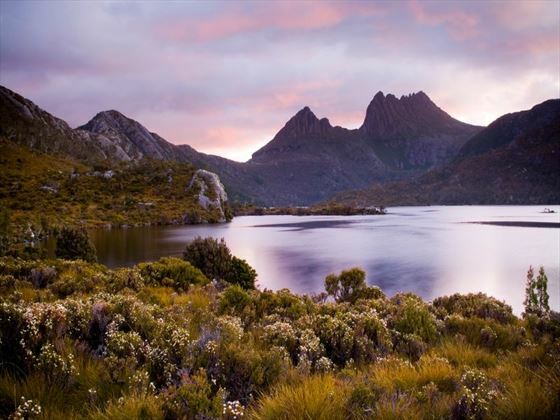 Explore the natural beauty of Cradle Mountain-Lake St Clair National Park then visit Waldheim Chalet and Dove Lake. 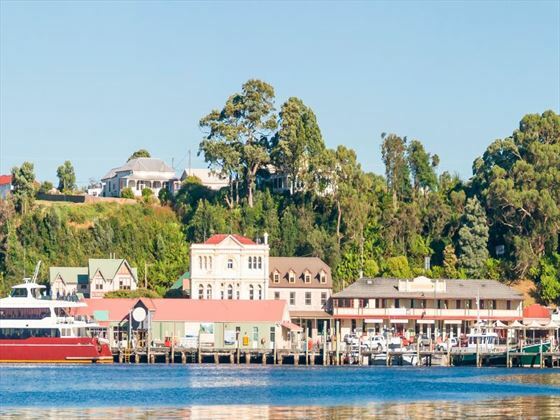 In the afternoon, travel to Stanley and head to Smithton to unwind at the Tall Timbers Hotel. Sample Tasmania’s local produce with a trip to the Ashgrove Cheese Factory this morning before making your way to the Great Lakes Plateau. Continue on to Launceston where you’ll dine with your tour guide and group at a farewell dinner. Enjoy an exclusive breakfast at your hotel before making your way to explore Cataract Gorge. Cruise along the picturesque Tamar River and visit Woolmers Estate before transferring to Launceston Airport where the tour comes to an end.